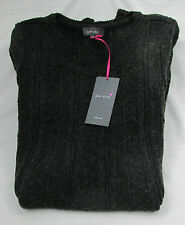 Marks & Spencer Mink & Black Heart Knitted Tunic Jumper Dress, Size 16. Lovely Mink / Black Heart Pattern. Knitted Jumper Style Tunic Dress - would be above the knee. This jumper dress has lovely ribbing detail at the bottom of hem and sleeves. 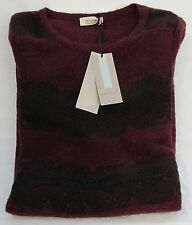 Marks and Spencer Jumper Dress Black Stone in colour Ladies Size uk 20 Please Check approx measurements before bidding pit to Pit top to hem Great Condition Dispatched with Royal Mail 2nd Class. BNWT £40 M&S Size 22 Camel Long Sleeve Tie Waist High Neck Jumper Dress. 52% cotton and 48% polyester - soft fleece like texture. 47” length. Have a look at my other items! Lovely soft stretch knit M&S Collection jumper dress. In mint unworn condition. Size is UK 20.
limited collection dress. Dispatched with Royal Mail 1st Class. M&S LIMITED EDITION Animal Print Half Sleeve Shift Midi Dress. Midi dress with collar. Neat fit slim cut at the top with long A Line shirt. Currently on sale in M&S for £45. M&S Jumper Dress 12. Used but in great condition. M&S Autograph summer dress smart sz 10 Ochre Color Sleevless 43" long side vents. Condition is Used. Dispatched with Royal Mail 2nd Class. M & S" DRESS WITH STRETCH" BLACK DRESS SIZE 14. Condition is New with tags. Dispatched with Royal Mail 2nd Class. M&S Midi NAVY Pink KNITTED JUMPER DRESS SIZE L 16 18. Condition is Used. Dispatched with Royal Mail 2nd Class. A great fine knit short sleeve dress from marks and Spencer. In brown tones animal print. A really versatile piece for the spring months. In perfect condition. Size 18. Happy to combine postage! 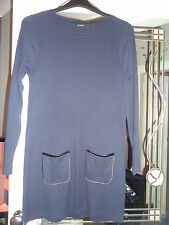 M&S SIZE 14 16 NAVY BLUE STRETCH TUNIC JUMPER DRESS WITH BLACK SLEEVES AND TRIM. Condition is Used. Dispatched with Other Courier (3 to 5 days). Marks and spencer size 12 dress from per una range. Relaxed fit, frill round shoulders, navy and white strips. Dispatched with Royal Mail 2nd Class. Marks and spencer limited edition Dress 14 BNWT. Condition is New with Tags. I have had this hanging in the wardrobe and haven’t worn it yet so I think it deserves a new home. It is a lovely grey sweater dress with navy and red edging. From a smoke and pet free home. marks and spencer Mustard Yellow Boho Jumper Jersey Dress 12. Condition is Used. Dispatched with Royal Mail 2nd Class. 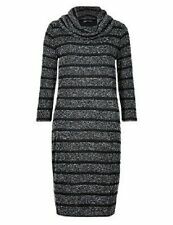 BNWT ~Long Roll Neck Knitted/Ribbed Jumper Dress. this dress would look fab with boots ! underarm-underarm 21.5" - 24.5" (does have give). MAIN 97% POLYESTER, 3% ELASTANE. M@s Jumper Dress 14 with pockets. Condition is Used. Dispatched with Royal Mail 2nd Class. A super stretch knit dress from Marks and Spencer in size 16. This dress is pull on with 3/4 length sleeves. BNWOT size10 M&S , Short sleeved, White Dress. Diamonte detail. Unlined. M&S Size UK 12 Black Ribbed Long Sleeved Jumper Dress good condition. Pit to pit 18". Length 45". A BLACK MIX JUMPER DRESS FROM MARKS & SPENCER. Lovely, black, fine knit, cotton blend jumper/tunic dress from M&S. States size 22 but more of a size 20. 3/4 length sleeves. Good condition.